Nut trees aren't just great for nuts! Let's Have a Peanut Boil! 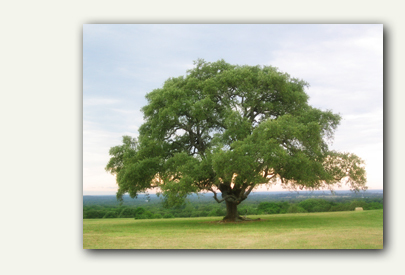 If you are interested in adding a tree or two to your landscape, consider the shade tree that does double duty. Nut trees are not difficult to grow and there are many varieties from which to choose. Before investing in your nut tree, make sure you understand its growth habits and that you have the space for these spectacular trees. Almonds are native to the Middle East and grow well only in similar climates here, notably the central area of California, which is the largest almond-producing area of the world. Almonds must have hot summers with cooler winters, but no sub-zero temperatures. Almonds are related to peaches, and while the tree may grow anywhere where winters are mild, they seldom have nuts outside of warmer areas of the southwest. Bitter almonds tend to have pink flowers, and sweet almonds have white flowers. As a flowering tree, almonds can be quite attractive. Almond leaves are oval with a serrated edge. The tree grows to about 30 feet high. Almonds need to have at least two varieties present for pollination to occur, which is done by bees. Almonds are not true nuts. After pollination, the flowers produce a leathery, grayish fruit which ripens in late fall and splits open, revealing the pit, or nut. Pecans are one of the great taste treats of the South. There are pecan trees hardy to Zone 5, but often the trees do not produce nuts in Zone 5 or the nuts do not properly ripen before a freeze. They do not do well below Zone 9 either. Pecans are large trees, up to 75 feet tall. Pecans are self-pollinating but produce bigger and earlier crops if two varieties are planted. They are wind pollinated, so the trees must be within 200 feet of each other. Pecans have compound leaves with a long, oval shape. The nuts are covered with a green husk that splits open when ripe to reveal the brown pecan shell, often striped with black. There are many varieties of pecans that are developed for various areas of the country. Some are grafted trees. Consult with your county extension office to see what types will grow best in your area. Pecans begin to bear within 5 to 12 years of planting, depending on the variety and age when planted. Hickories are related to pecans but are more cold-hardy. They grow and produce nuts in Zones 5 to 8. Hickory nuts are seldom seen in stores, so if you enjoy them you will probably have to grow them yourself. There are hickories that have sweeter and bigger nuts offered by specialty nurseries. The trees are slow-growing and don't begin to bear for about 15 years. There are crosses of pecans and hickories called "Hicans"
Black Walnuts, English Walnuts, Butternuts and Heartnuts are all related. These nut trees are not recommended for home landscapes because they produce a substance called juglone in their roots that inhibits the growth of many other plants. They are also very messy, with the hulls of the nuts staining patios and driveways. That being said, they are fine for the far edges of a large yard or wilder areas. Black walnuts have timber that is highly prized for woodworking, but the Black Walnut tree growing in the yard will probably not yield much of a profit. Lumber trees must be grown in a certain way to be valuable. Black Walnuts have incredibly hard shells and must removed from a messy, thick, green husk that will stain anything it touches with a long-lasting brownish color, including your hands. The meats are small but very tasty. Black Walnuts have compound leaves. They grow quickly if they like the location and can bear as early as 10 years. They can form huge trees up to 100 feet high. They are hardy from Zones 4 to 9. English Walnuts are less cold-hardy, Zones 5 to 8, than Black Walnuts, but the nuts have thinner shells and larger nutmeats with a milder walnut flavor. Some grafted varieties are available. Japanese Walnuts are called Heartnuts because of the shape of the nuts. They are hardy from Zones 5 to 8. Leaves are similar to other walnuts, but up to three feet long. They grow quickly and can begin to bear at five years. They form a small tree up to about 25 foot high. The nuts also have a thick hull and shell but are very sweet. Butternuts are very similar to Black Walnuts and will grow from Zone 3 to 7. They are large, up to 50 feet in height and relatively fast growing, but they may take 15 -20 years to bear nuts. Hazelnuts and filberts are essentially the same thing. The name depends on what country you are in. There are native hazelnuts in Europe and North America. These nuts grow as small trees or as shrubs, depending on the conditions and pruning. They are wind pollinated and need two or more plants to set nuts. Hazelnuts are prone to blight diseases, and some areas have problems with one strain of blight while others have problems with another. Contact your county extension office to see what strains of hazelnuts would grow well in your area, and look for blight-resistant varieties. Hazelnuts spread by suckering and soon form thickets of trees or shrubs. They are cold-hardy to at least Zone 5, but nut production is often diminished from late frosts. American Chestnuts used to provide tasty nuts throughout much of the East, but they were wiped out by a chestnut blight. Chinese Chestnuts can be grown in the Untied States in Zones 4 to 8. They are very ornamental trees, with clusters of pretty flowers in the spring. They also make nice shade trees. They are self-pollinating but planting two will give you a better crop. A few American Chestnuts survived the blight, and these were used to make hybrid trees resistant to blight that you will sometimes find on the market.